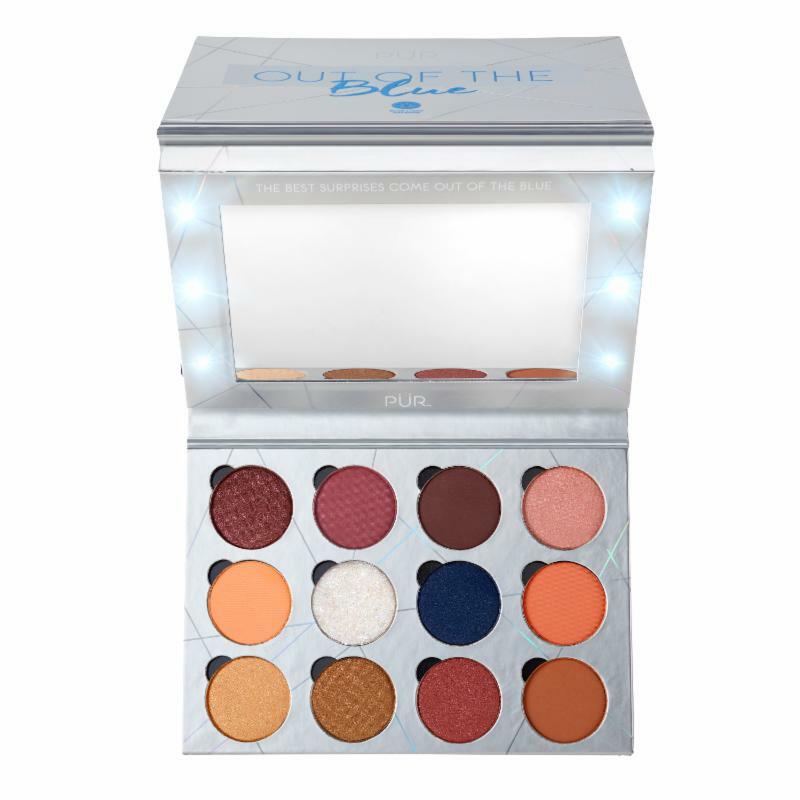 Tap into your true creative side with this 12-shade, light up eyeshadow palette that features a mix of inspiring matte and shimmer shades to help you create universally flattering makeup looks out of the blue. Go for a subtle slay with finely-milled shimmer shades or amp up the drama with bold, buildable mattes that instantly bring depth and dimension to your eyes. Experience PÜR’s high-performance formulas ranging from warm, earth-toned neutrals to wearable pops of color. Whether you’re a boss babe heading to the office or a socialite looking to strut, this light up vanity component makes application easy wherever you go! Prep and prime lips to perfection with this ultra-hydrating lip balm that conditions and seals in moisture for kissable lips all day long. Infused with gorgeous gold glitter, this chic balm appears clear on the lips for a soft, full pout that lasts. Need a quick touch-up? 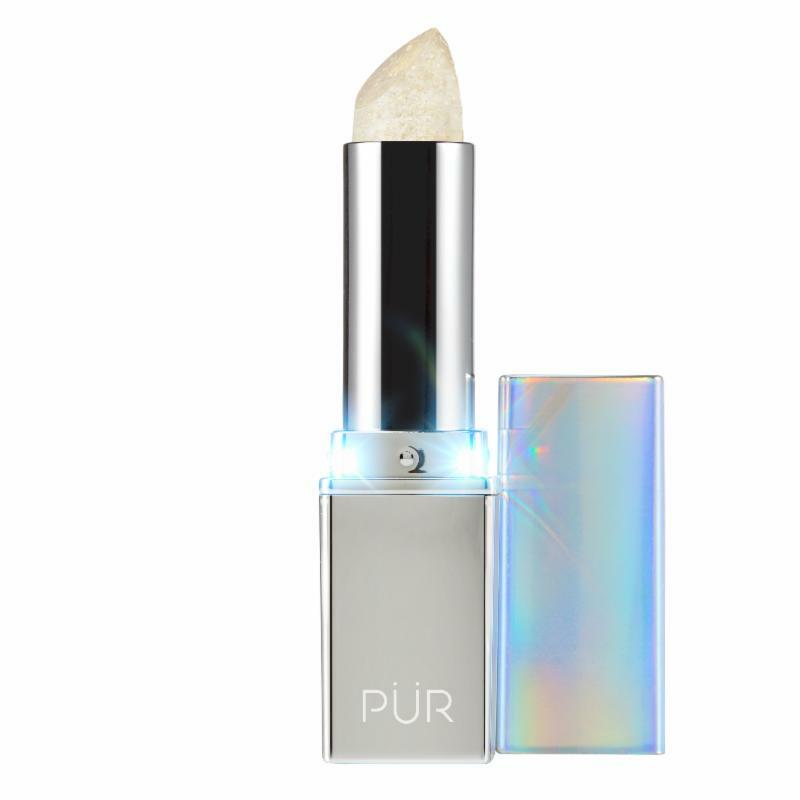 This hydrating lip balm includes a light up component to keep lips looking their best wherever you go. 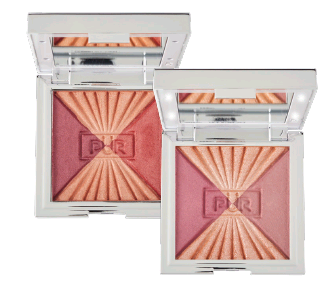 Rosy days are ahead with this travel-friendly, complexion trio that contains two blushes and a blush topper to add an instant pop of color to any skin tone. This trio includes both cool and warm pigments that easily blend into the cheeks for a natural flush of color that complements any makeup look. Whether you’re keeping it simple by day or spicing it up for night, this palette has everything you need to add depth and dimension to your beautiful cheek bones. This lightweight, highly pigmented lip gloss utilizes an innovative gel technology to coat lips in vivid color and intense shine for kissable lips all season long without transferring or fading. Take it with you as the light up component makes for perfect touch ups on-the-go. This cult-favorite, age-defying mascara formula contains a revolutionary positively charged matrix that attracts to each individual lash to strengthen, thicken, lengthen and sperate for unparalleled performance. Equipped with a unique, limited-edition light up component, this mascara is a must-have for beauty lovers on-the-go! • BIOTINOYL TRIPEPTIDEE-1 | Age-defying ingredient for eyelashes. Helps fight the follicle aging process by conditioning lashes to help prevent premature fall out. • PANTHENOL (VITAMIN B5) & VITAMIN C ESTER | Nourishes lashes giving them more flexibility to maintain lift and curl. • CARNUBA WAX AND BEESWAX | Separates and sets each lash for all day length, volume and curl. Deliver instant hydration to the skin for all-day glow with this Illuminating Setting Spray. In seconds, this spray revitalizes dull, tired skin, leaving behind a light shimmer for effortless radiance. This on-the-go spray is infused with antioxidants to help protect skin against environmental stressors throughout the day. • MELANIN | Helps protect skin against damage caused by high energy visible blue light.